The Department of Art seeks to enroll students who have creative vision and a sense of purpose directed toward professional careers in art education, art history, communication design, and studio art. To assist the department in evaluating the artistic potential and commitment of applicants, an admission portfolio is required of applicants to the BFA studio program, the BFA program in communication design, and BS program in art education. A designated number of students are recommended each year for admission to the art program and to the University as a result of the exceptional quality of work and potential shown in their portfolios. These students are called talent admissions. Although students must meet other admission standards, the portfolio evaluation can be given priority in determining acceptance. Portfolio evaluations apply only to those individuals who have submitted a formal application for admission to Miami University with a declared major in Art. The Office of Admission is responsible for determining acceptance to the University. The results of the Department of Art's portfolio evaluation are forwarded to the Admission Office and serve an integral part in determining acceptance as an Art major. Please visit the website Slideroom to upload your work. Follow the instructions on the site. Submit your portfolio to the Art Department on a CD, with your digital images as jpegs (preferably at 72 DPI, with the pixel dimension to be approximately 600 pixels in the longest direction, 24 bit "millions" color resolution). Include a media listing of the images in jpeg format as well. Because of version issues, PowerPoint format will not be accepted. The Department of Art reserves the right to see actual work if artistic integrity is questioned for any reason. Portfolios will not be returned unless a self-addressed and stamped package is included with your submission. Presentation: concern for the care taken in preparing, submitting, and documenting work. Creativity: demonstration of original thinking and imagination; examples that indicate the development of personal expression. Design and Composition: consideration for the arrangement of visual elements within the parameters of space or form. Self-Motivation: art work done outside of the school setting which reflects the applicant's interest and enthusiasm for the visual arts (e.g. sketchbook, drawings or paintings done at home). Exploration of Media: concern for a flexible use of a range of materials. Technical Proficiency: concern for the manner and skill with which tools and materials have been used to create art work. Drawing Ability: subjects drawn from life (not photographs): still life, portraiture, landscape, anatomy, facility in both color and black and white media, line and full light and shade, controlled abstraction and realistic imagery. Color: facility with wet media: ink, watercolor, oil, tempera, acrylic; facility with dry media: pastels. crayons. colored pencils, markers; varied applications including colored papers and collage, fibers, metals and ceramics. Proficiency in at Least One Visual Arts Medium: concern for, or ability to work well in, one visual arts area or medium. 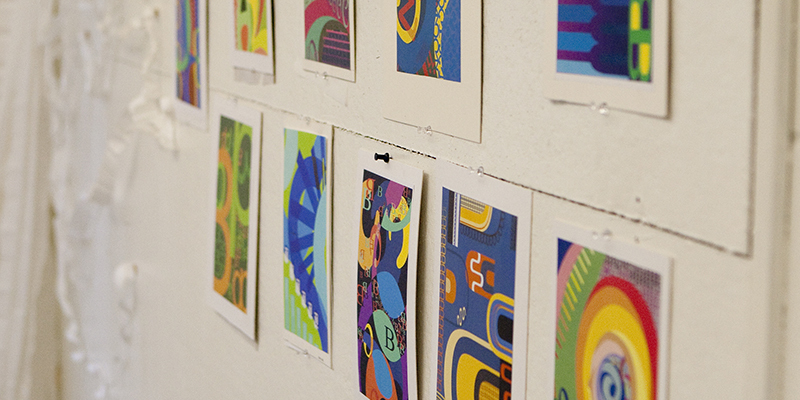 In addition to the entrance portfolio review required by the Department of Art, a communication design portfolio review is required mid-spring semester during the first-year following foundations coursework. 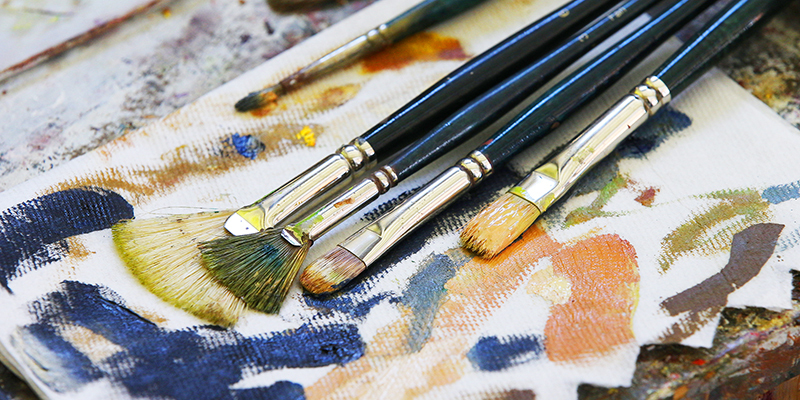 In order to submit a portfolio for admission into the Communication Design major, students must be enrolled in ART 151 Pre-Communication Design, and must have completed or be enrolled in ART 102 Color Theory and Practice, ART 105 Technical Drawing, ART 111 Design and Composition, and ART 121 Observational Drawing. Employing an interview format, the review will assess the quality of work produced in the first two semesters, academic performance (overall GPA and GPA in major), and personal commitment and attitude. A limited number of students are admitted each year (approximately fifteen to twenty). Students' work may also be reviewed at the close of the second-year. Regardless of grades, a student may be denied further registration in the communication design program if the faculty conclude this is in the student's best interest. 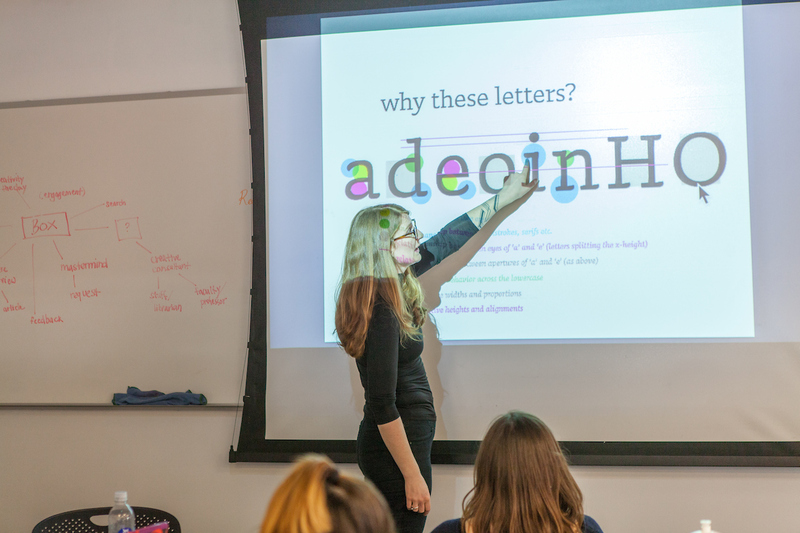 If students have any questions specific to the Communication Design curriculum they are encouraged to talk to the faculty in that program. * If you do not meet this deadline, your portfolio will be considered for the Regular Decision March notification.